A friendly spirits shoppe that extends Wine Tasting Invitation By Entry Easel outside the door. Sad to say that affairs are held only Fridays, and Saturdays, and you’ve missed it this week. But do put it on your calendar for next week and beyond. 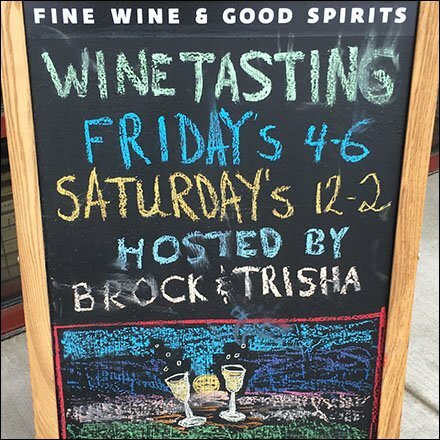 This Wine Tasting Invitation By Entry Easel hosted and chalkboard-lettered by Brock and Trisha, resident Sommeliers.